David is a co-founder of Numab. From 2004 until 2010, David was at Esbatech, as Head of Research & Development. He designed Esbatech’s antibody discovery platform, and was responsible for the discovery and preclinical development of ESBA1008 (now RTH258), a best-in-class anti-VEGF scFv for the treatment of age-related macular edema. His work on the pharmacokinetic properties of antibody fragments led to the development of ESBA105, a TNF-inhibitory scFv – the first antibody fragment to be applied topically by eye drops. David is an inventor on numerous patents and patent applications and has published widely in leading peer-reviewed journals. 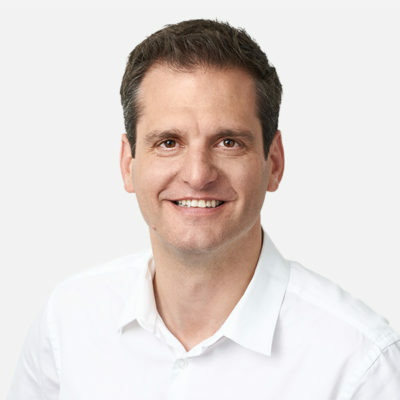 David holds an MSc in Molecular Biology and Neurosciences from the University of Zurich, and a PhD in Biochemistry from the Biocenter in Basel. Oliver is a co-founder of Numab. From 2004 until 2010, he was at Esbatech as Head of Alliance Management and responsible for intellectual property. 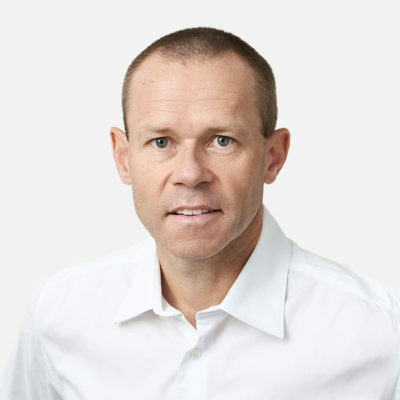 After Esbatech was acquired by Alcon in September 2009, Oliver became a member of Alcon’s R&D Alliance Group, tasked with search, evaluation, negotiations and alliance management of collaborations, while remaining Head of Alliance Management at Esbatech, and a member of the Esbatech Management. 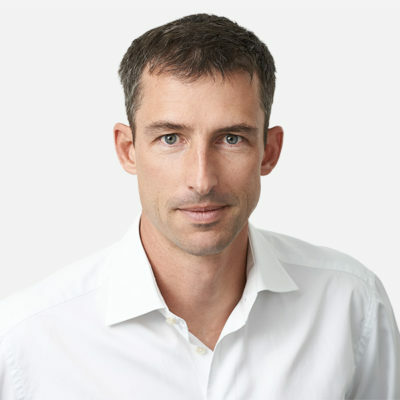 Oliver studied molecular biology and immunology at the University of Zurich and received his PhD in biochemistry from the University of Basel in 2004. Peter is a co-founder of Numab. He holds an MD as well as a PhD in Molecular Biology from the University of Zurich. 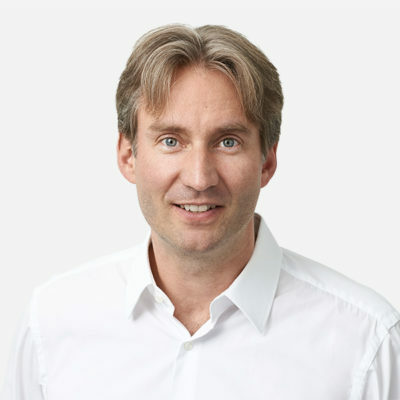 In 2000 Peter joined ESBATech AG to hold various positions in preclinical and clinical research. In 2004 he was appointed Medical Director and Head of Clinical Research and Development, leading several preclinical development projects with antibody fragments in oncology, inflammatory and neurodegenerative diseases. He developed ESBATech’s “body compartment concept” aimed at the optimal therapeutic exploitation of the pharmacokinetic properties of antibody fragments. He designed and led clinical development programs in ophthalmology and rheumatology with ESBA105 and ESBA1008, TNF-inhbitory and VEGF-inhibitory antibody fragments, respectively. Peter joins from Sucampo, where from 2011 he was Senior Medical Officer and Vice President European Operations. He co-authored a great number of peer-reviewed publications. Before joining Numab in 2011, Tea was Head of pharmacokinetics & pharmacodynamics at Esbatech from 2004 until 2011. She led the development of bio-analytical methods in drug discovery and development, as well as the pharmacodynamic and pharmacokinetic characterization of antibody fragment lead candidates. Tea led preclinical discovery and development projects in the field of ophthalmology, and was instrumental in the discovery and the development of ESBA1008 (now RTH258), a best-in-class anti-VEGF scFv for the treatment of age-related macular edema. Tea is an inventor on a number of patents and patent applications and has published in leading peer-reviewed journals. 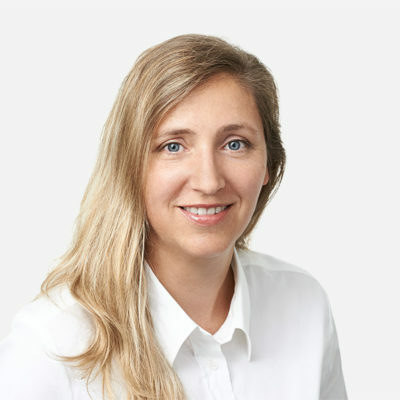 Tea holds an MSc in Molecular Biology and Immunology from the University of Zurich, and obtained her PhD in Molecular Biology from the University of Zurich in 2004. Sebastian joined Numab in 2012 to head the engineering and process development group. In 2017, he was promoted to Chief Operating Officer of Numab Innovation. 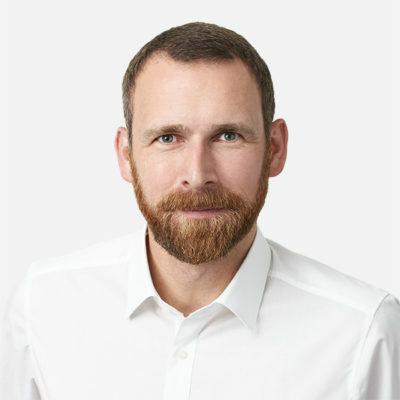 Prior to joining Numab, Sebastian headed the downstream processing and analytics unit of ESBATech, focusing on process development and characterization of novel scFv drug candidates in Phase I/II of clinical development, including RTH258 (brolucizumab). Prior to that, Sebastian was a bioprocess development group leader at Cytos Biotechnology. During his post-graduate studies, Sebastian investigated the structure and function of chloride channels and transporters. Sebastian graduated with a degree in Biochemistry from the University of Hamburg and obtained his PhD from the University of Zurich. Roland joined Numab in 2011. He started his career in 1997 as a controller in the sports goods industry. From 2004 until 2011 he worked in the banking industry in Switzerland and Asia with positions in marketing, customer experience management, process management and information technology. Roland holds a Master’s degree in Economics and Business Administration and a Certificate of Advanced Studies in Corporate Finance, both from the University of Zurich. David is a co-founder of Numab. From 2004 until 2010, David was at Esbatech, as Head of Research & Development. He designed Esbatech’s antibody discovery platform, and was responsible for the discovery and preclinical development of ESBA1008 (now RTH258), a best-in-class anti-VEGF scFv for the treatment age-related macular edema. His work on the pharmacokinetic properties of antibody fragments led to the development of ESBA105, a TNF-inhibitory scFv – the first antibody fragment to be applied topically by eye drops. David is an inventor on numerous patents and patent applications and has published widely in leading peer-reviewed journals. David holds an MSc in Molecular Biology and Neurosciences from the University of Zurich, and a PhD in Biochemistry from the Biocenter in Basel. Mark Egan is an investment-banking veteran who between 1962 and 1989 made his career at Hornblower & Weeks, Kuhn Loeb & Co, and Lehman Brothers. Since 1989 Mark is president, chairman and owner of Marlin Capital. Marlin Capital is the general partner of the Private Investment Fund of which Mark is the largest limited partner. Ignacio Melero, M.D., Ph.D., is professor of immunology at the Academic Hospital of Navarra and at the Center for Applied Medical Research (CIMA) of the University of Navarra. He leads a group working in translational tumor immunotherapy with emphasis on cell therapy, cytokine gene therapy, and immune-stimulatory monoclonal antibodies. Earlier in his career, Dr. Melero contributed to seminal discoveries in the function Natural Killer cells, and T-cell co-stimulation via CD137 (4-1BB). Dr. Melero has been awarded the BIAL Prize of Medicine, the Conde de Cartagena Award from the Royal Academy of Medicine, Doctor Durantez LAIR Foundation Award and a CRI research award. He has served on advisory boards of Bristol Myers-Squibb, Roche-Genentech, AstraZeneca, Merck Serono and Boehringer Ingelheim, and holds research grants by Pfizer, Bristol Myers Squibb, and Alligator. Mario Sznol, M.D., is a Professor of Medicine (Medical Oncology). Dr. Sznol, formerly with the National Cancer Institute, has an international reputation in cancer drug development. Dr. Sznol’s expertise and experience is in cancer immunotherapy, drug development for cancer, and treatment of patients with melanoma and renal cell carcinoma. He is working to expand the opportunities for clinical trials at the Yale Cancer Center, particularly those focusing on immunotherapy and novel agents. David Hong, M.D., is a Professor of Medicine and the Associate Vice President of Clinical Research at MD Anderson Cancer Center. Throughout his career, Dr. Hong has developed an interest in studying the efficacy of novel drug combinations in patients with solid tumors. Recently his research endeavors have focused on developing personalized therapies for patients, whose tumors bear specific genetic mutations/amplifications and combining targeted therapies with immunotherapies. Matthew Galsky, M.D., is a Professor of Medicine, Hematology and Medical Oncology and a Professor of Urology at the Icahn School of Medicine at the Mount Sinai Health Systems hospitals in New York. Dr. Galsky also serves as Director of Genitourinary Medical Oncology at the Tisch Cancer Institute. He specializes in the care of patients with genitourinary malignancies (i.e. bladder and kidney cancer). His research focuses on the development of novel treatments for these cancers, and Dr. Galsky uses team-science based approaches to understand sensitivity and resistance to such therapies. Robert L. Ferris, M.D., PhD is the Director of the UPMC Hillman Cancer Center of the University of Pittsburgh, where he is a Professor of Oncology and Immunology and a Co-Director of the Tumor Microenvironment Center. Dr. Ferris is a leading expert in the immuno-biology and treatment of head and neck cancer. He has been the prinicipal investigator in multiple Phase I-III clinical trials and his research is focused on cellular immune mechanisms of natural killer (NK) cells, dendritic cells and T lymphocyte activation against head and neck cancer tumor antigens. Founder and president of PharmaBDL LLC, and board member of the Japan Pharma Licensing Association (JPLA) from 1997 until 2012, Dr. Yoshimoto is a highly respected authority in the Japanese pharmaceutical industry. In 2005-2006, he served as Chairman of Pharma Delegates, a voluntary healthcare industry association comprised of the vast majority of companies, individual executives, and others who provide services to the healthcare industry in Japan. PharmaBDL provides business development and licensing consulting services to facilitate collaborations and transactions with Japanese pharmaceutical companies. Prior to founding PharmaBDL, Dr. Yoshimoto was for almost 40 years at Sankyo (now Daiichi Sankyo) in positions of increasing responsibility in drug design, research and development, and licensing. From 1996 until 2005 he was Director & Councilor of the Licensing Department.